Kunsthall Stavanger Welcomes Violet Dennison! 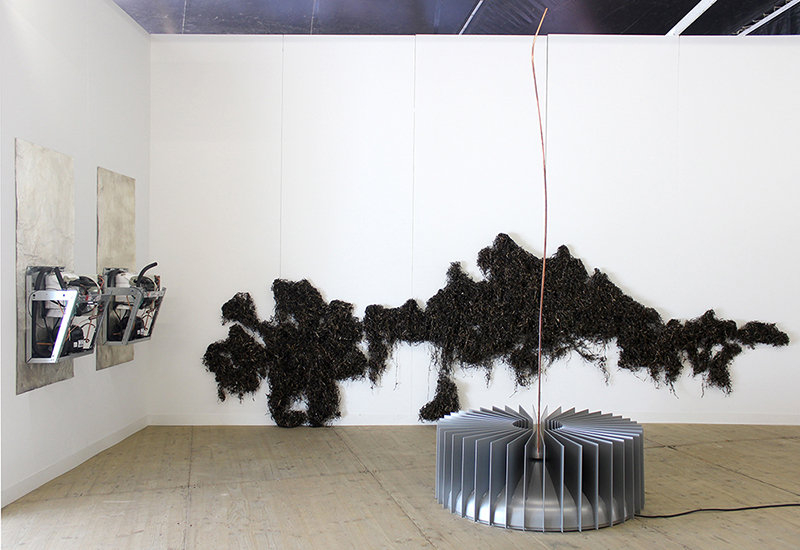 We are pleased to welcome Violet Dennison to the Kunsthall Stavanger Artist Residency this month! The Residency is an extension of the Kunsthall’s stated mission to serve as a platform for the production, exhibition, and distribution of artworks that are part of a large international discourse. The residency's accommodation is situated on the beautiful Gandsfjord outside Stavanger, and provides each resident with the possibility to work peacefully in serene surroundings. Each residency will result in a project at Kunsthall Stavanger such as an exhibition, presentation, performance, or other event. Violet Dennison is the second resident in 2018, and she will be staying onsite in Stavanger from October 11 - November 2. In her work, Dennison investigates paranoia, power, and self expression, while exploring our relationship to the ecologically and technologically unstable world. Vast systems become fragile or hacked, and small parts of the whole such as code, DNA and bacteria become principal actors, questioning the role of infrastructure and its ability to shape human behavior and language. On October 25 at 19:00, the artist will give a lecture presenting her practice at Kunsthall Stavanger. The event is free and open to the public. Violet Dennison's most recent exhibitions include Triennial: Songs for Sabotage, New Museum, New York; Abracadabra, Main Project of the 6th Moscow International Biennale for Young Art, Moscow; and Schau 5, Kunsthaus Kollitsch, Klagenfurt. Learn more about the artist on her website, here. The Kunsthall Stavanger Residency is co-founded by Aud Cuniberti and managed by Kunsthall Stavanger. Residency Coordinator: Liv Cuniberti. For more information about the residency, please contact Kunsthall Stavanger at info@kunsthallstavanger.no.